Following the announcement of Acino and Takeda that Acino will acquire Takeda’s manufacturing site in Põlva, Estonia, the closing of the deal took place on October 31, 2016. 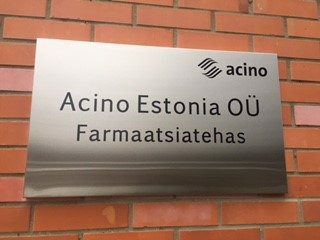 As previously announced the packaging site in Estonia is an excellent opportunity for Acino to support its emerging markets and out-licensing activities, and to grow its contract manufacturing business. “We were looking for a competitive solution for small and specialized volume orders in a high quality environment at EU standards. The site in Estonia has the perfect structure to fit to these requirements”, says Barthold Piening, Chief Operations Officer at Acino. A warm welcome ceremony has been held for the 53 employees in Estonia on November 1, 2016.